That and more with today’s best Spurs news and articles. 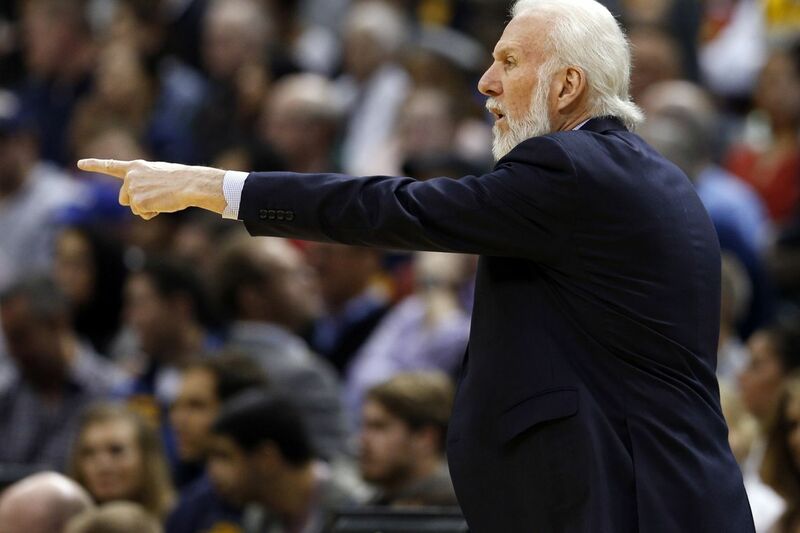 While many may automatically think of Larry Brown as Pop’s mentor, there was another. Sports Illustrated’s Tim Layden wrote an inspirational article on the late Curt Tong, a former college basketball coach who passed away from Alzheimer’s disease last month. Coach Tong became the athletic director at Pomona-Pitzer while Pop was still a young coach there, and Layden (with an interview from Pop) explains how Tong’s stern but caring style was an inspiration to him and many others throughout his career. Unlike one of the most high-profile organizations in sports, Pop has always made sure the Spurs have a stable environment. Prior to Sunday’s Knicks game, Pop was asked how he does this. The big secret? Making sure his players realize there’s a world beyond sports, and winning isn’t everything. He specifically pointed out Brett Brown, who has has remained positive and patient throughout “The Process”…something even Pop admits he probably couldn’t handle. Spurs are 42-13, guaranteeing San Antonio a 20th straight winning season – now the longest streak of winning seasons in NBA history. LaMarcus Aldridge sat down with Michael Lee of Yahoo’s The Vertical to discuss all things basketball, including his disappointment in the Warriors having four All-Stars to the Spurs’ one. (Note: he’s not upset he was left out, but his point is if we’re basing this on team records…which is the only reason GS has four…it’s a big disparity between the first and second best teams in the league.) He also discussed other topics such as his adjustment to the Spurs’ style, switching from Tim Duncan to Pau Gasol as his starting back-court mate, and having Pop as a coach. Totally wrong about him. He is a superstar. People pay big money to go see him in San Antonio. He is a franchise player. He’s the best two-way player in our game. He’s somewhat what Scottie Pippen was, but he has no Michael Jordan. He is Michael Jordan for the San Antonio Spurs. So, there you have it, Spurs fans. That last part is a little confusing, but we’ll just roll with it and accept that pigs can fly and the apocalypse is near.